“It’s the story you tell, not the product you sell”, or so the saying goes. 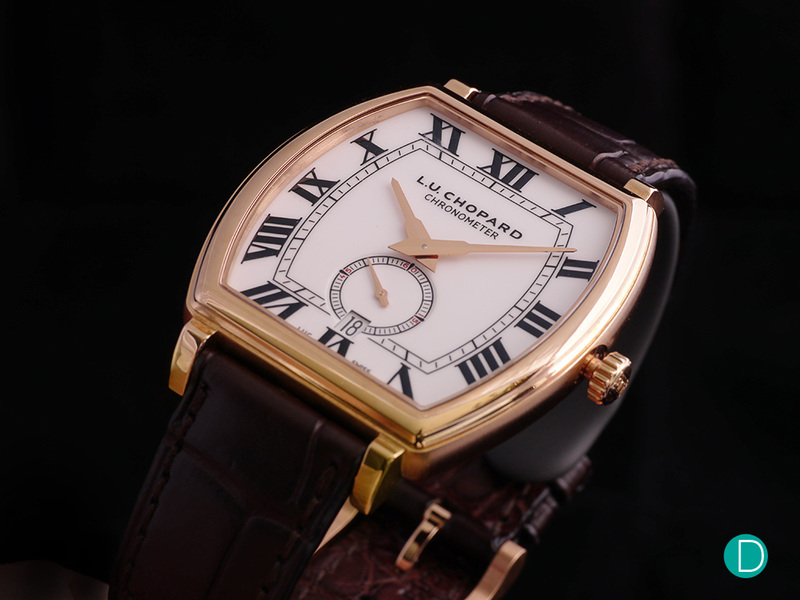 Chopard’s new L.U.C Heritage Grand Cru is served with a story about fine winemaking. You see, Mr. Karl-Friedrich Scheufele, the brand’s co-president is not only passionate about making watches, but also wine. The term ‘grand cru’ (literally ‘great growth’ in French) is used to classify a wine of the most superior grade, or the vineyard which produces it. 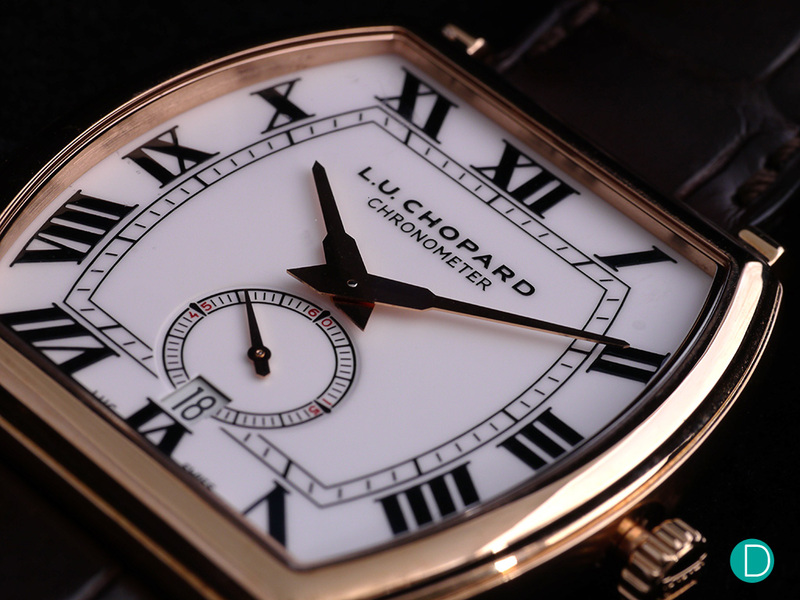 The moniker perhaps serves as a reminder that Chopard’s manufacture and L.U.C timepieces belong in an equivalent classification. The L.U.C Heritage Grand Cru even has a case that is reminiscent of the traditional oak barrels that are used at Mr. Scheufele’s vineyards. But while Chopard’s latest tonneau-shaped watch is marketed with a story (one that is personal to the co-president), with the brand, it has always been about the product first. The Heritage Grand Cru continues to show the watchmaking world what the haut de gamme L.U.C line is all about and why it is not to be discounted. Here, we bring you the details and specifications, as well as our thoughts on the L.U.C Heritage Grand Cru. This is not the first time a tonneau-shaped case has been used by Chopard – that honour goes to the L.U.C XP Tonneau – but the brand’s second attempt has resulted in added refinement. The L.U.C Heritage Grand Cru has softer curves and a rounder body. The case measures an elegant 38.5 mm wide and 38.8 mm long but because of it’s atypical shape, the watch will wear larger than a round watch with an equivalent diameter. True to its dressy design, the case is also delightfully thin at 7.75 mm, allowing the watch to slip under a tight dress cuff with ease. Its finishing is gorgeous; the vertical satin finish on the curved case middle along with the polished bezel offer a stunning contrast. The case is matched with a brown strap, alligator leather on the top and bottom: the luxurious way to do it. The lugs on the brushed-polished case are short and downturn sharply to improve wearability. The white dial is porcelain-like and printed with inky black Roman numerals to mark the hours. Inboard of the Roman numerals is the railway-style minute track which surrounds the company marquee and the seconds sub-dial at 6 o’clock. There is also a railway-style track for the seconds that is accented with red Arabic numerals at the 15, 45 and 60 second mark. 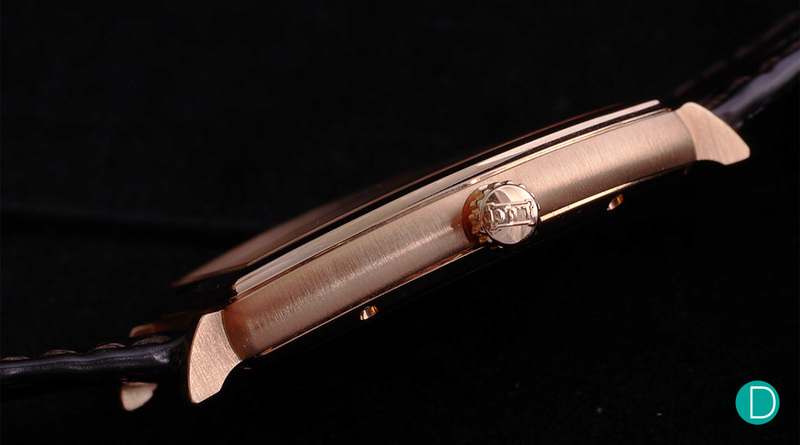 The brand’s own dauphine-style hands (gilded) are used to indicate the hours, minutes and seconds. An aperture for the date is present at the bottom of the sub-dial, cutting through the railway track. The date window is a touchy subject in the watch community. On one hand, its functionality (being arguably the most useful complication one can have on a timepiece) is undeniable; on the other, it is likely to disrupt the design purity of a dial. This conundrum presents itself on the L.U.C Heritage Grand Cru. While the practicality of the date function is appreciated, the dial would perhaps benefit even more without it from a design perspective – at least, in our opinion. All that said, it is still by no means a deal breaker as it is discreetly – and successfully – integrated into the dial. Overall, the classic design and the luscious aesthetics of the dial is a safe, winning combination. The dauphine hands are gilded. At this angle, they appear black because of their mirror-polished finish. Chopard cuts no corners on the Calibre 97.01-L that beats within – literally; the movement is tonneau-shaped, not round, specially designed to fit the case. Such attention to detail is rare to find these days even amongst high-end manufacturers. Most brands would more likely slap on a round movement padded with spacers. The care put into the Calibre 97.01-L extends beyond shape and into functionality and aesthetics. The 3.3 mm-thin automatic movement is wound by a 22k gold micro-rotor, driving two stacked barrels based on Chopard’s patented ‘Twin’ technology. Together, they guarantee 65 hours of autonomy and supply sufficiently constant energy to enable the Calibre 97.01-L to beat with chronometer-grade precision (as certified by the Swiss Official Chronometer Testing Institute; COSC). The movement is also anointed with the Geneva Seal, signifying in part that the movement is finished to a superlative standard. Arguably the first thing that catches the eye on the Calibre 97.01-L is the gold micro-rotor that has been adorned with a sunburst engraving and the manufacturer’s marquee. The bridges themselves are also meticulously finished: creamy Côtes de Genève on the surface, expertly polished bevels on the edges. At the same time, the main plate is decorated with a tight and even perlage while the screw heads and swan neck regulator are painstakingly black polished to perfection. It is this impassioned care towards the form and function of the movement that has put Chopard forward as a legitimate rival to more established brands such Patek Philippe and Vacheron Constantin. The Calibre 97.01-L is based off of Chopard’s first L.U.C movement, the Calibre 96.01-L.
Chopard’s L.U.C line of watches has been providing good value for money since its inception; the L.U.C Heritage Grand Cru is no exception at CHF22,300 or about SGD31,000. The watch features all of the trappings of high horology (high finishing inside out, technically robust movement, gorgeous aesthetics) inside a refreshing tonneau-shaped case while keeping a sensible price tag. Of course, the price isn’t exactly grocery money either. 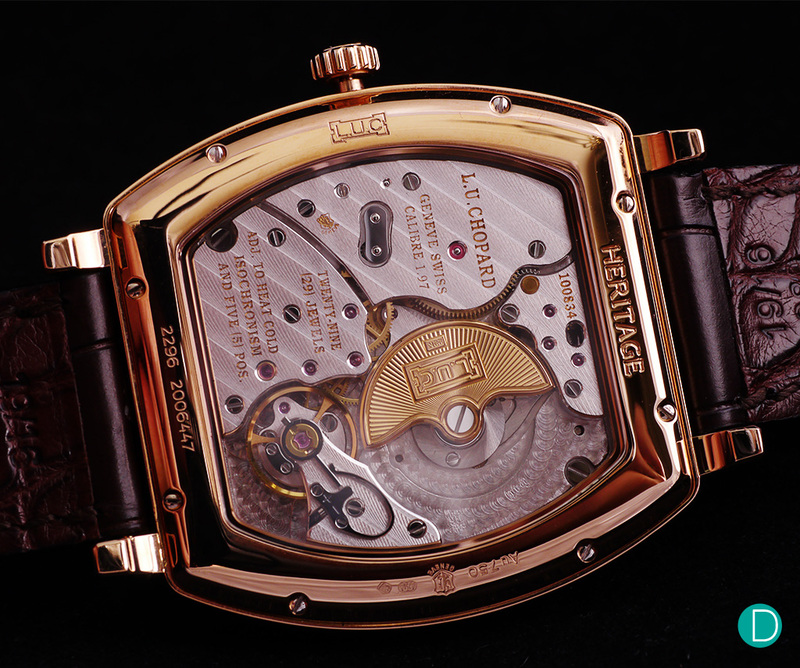 But comparing the L.U.C Heritage Grand Cru to time-and-date-only watches from other high-end brands will quickly reveal that it offers much more for much less. 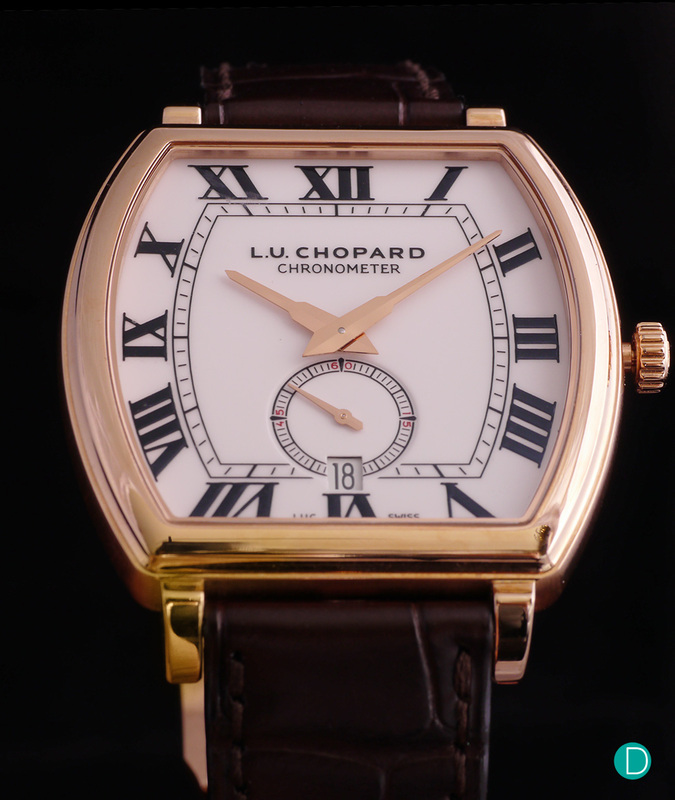 This is why Chopard and its L.U.C line is gaining recognition and appreciation from the community at a meteoric pace. The value in the L.U.C Heritage Grand Cru doesn’t come from cheap pricing. Instead, it offers the full high horology package at a highly competitive price. But where should one look to should the styling or pricing of the L.U.C Heritage Grand Cru not meet expectations? Tonneau cases for the time being remain in a niche and is an acquired taste. Round cases, which fit more naturally on our wrists, are overwhelmingly more prevalent and accepted in the market. That said, tonneau-shaped watches do have a footing in the market – you just have to look harder. One brand that thrives on tonneau cases is Franck Muller. Franck Muller’s Classical Vanguard collection offers an interesting barrel-shaped alternative to the L.U.C Heritage Grand Cru. It is for those who seek a more contemporary/fashionable styling and a more affordable pricing to the Chopard. While it hasn’t got nearly the same level of craftsmanship or finishing as an L.U.C timepiece, it remains attractive from a design standpoint. Pricing for the Vanguard varies depending on materials used and complications incorporated; the Vanguard Camouflage in titanium with date function shown below retails at SGD15,280 – nearly half the price of the Chopard. 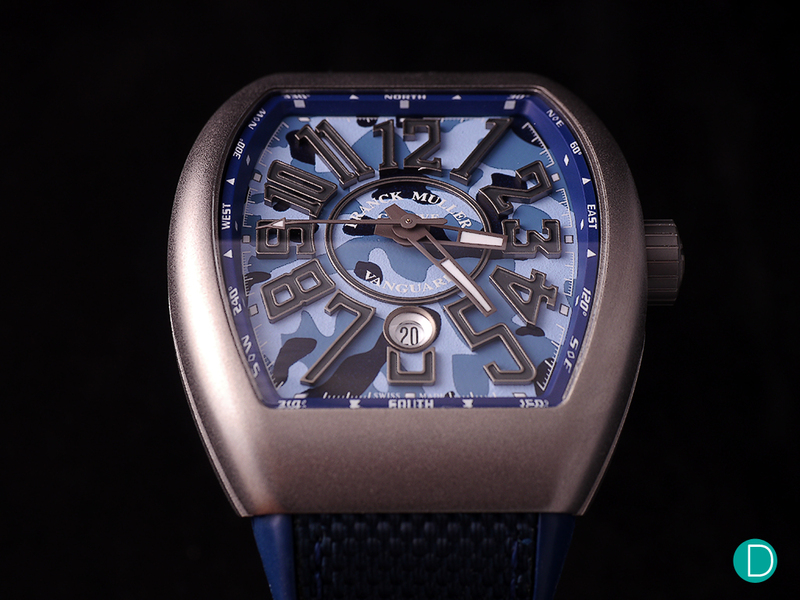 The Franck Muller Vanguard Camouflage is a more “affordable” alternative to the L.U.C Heritage Grand Cru. Its funkier design serves to attract a younger demographic or simply those looking for a fun, casual timepiece. For those looking for a simple tonneau-shaped watch but with a little – no – plenty more finance to spare, look no further from the Richard Mille RM67-01. Tonneau-shaped watches form the core of the brand as much as its extroverted design, aggressive marketing and exorbitant pricing. The RM67-01 is officially the thinnest Richard Mille ever made, measuring in at 7.75 mm thick – exactly the same as the L.U.C Heritage Grand Cru. While its design is unsurprisingly sportier than the Chopard, it is relatively restrained compared to the rest of the Richard Mille collection. This is a good thing as it offers clients options. The Calibre CRMA6 that powers the watch is designed in-house, manufactured by a third party and finished attractively (though we’d give the L.U.C an edge). The movement has two complications: 1) the date, and 2) a crown position indicator displayed on the dial whereby W denotes winding; D, date; and H, hands. Overall, the RM067-01 has a cohesive design with a respectable movement. The titanium variant as seen below is priced at USD85,000 or over SGD114,000. No matter how you look at it, the pricing is obscene, even more so given that the movement is not in-house manufactured and the finishing, while good, isn’t near the best. But let’s not forget, this is a Richard Mille we’re dealing with here. The stratospheric price is part of the brand’s marketing strategy. For the brand’s clientele, it is part of the appeal (another being its extremely recognisable design) – by out-pricing the masses, it becomes the ultimate symbol of wealth and exclusivity. All that said, for all the criticism the brand has copped, the functionality and inventiveness of its watches remain the gold standard of the industry – and of course, this applies to the RM67-01 as well. 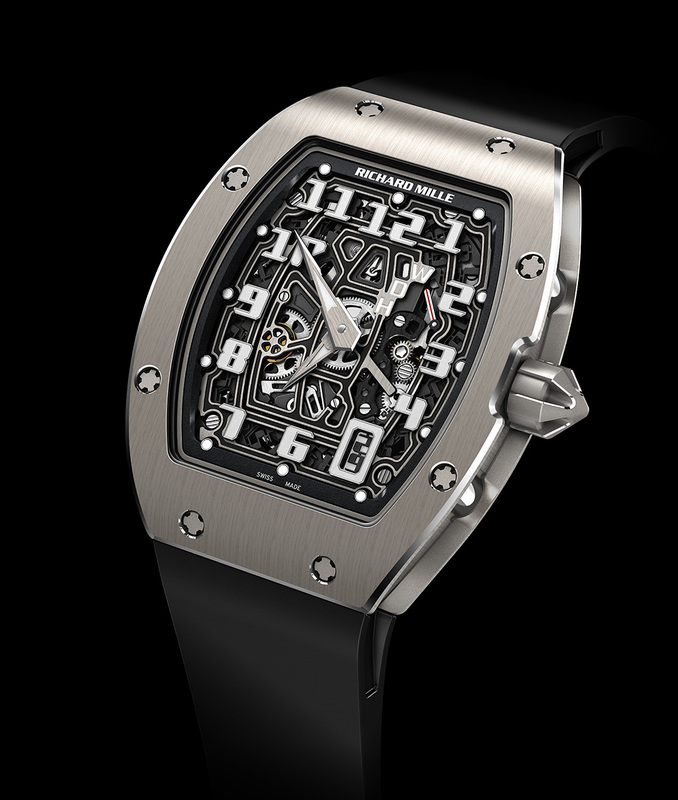 The RM67-01 is Richard Mille’s thinnest creation – a refreshing change by the brand that usually thrives on movement depth and three dimensionality. Chopard is the dark horse of high horology. Many do not take the brand seriously because it also makes jewellery. It is not as well-known as some household brands and not expected to succeed. And yet time and time again, Chopard has proven its doubters wrong. 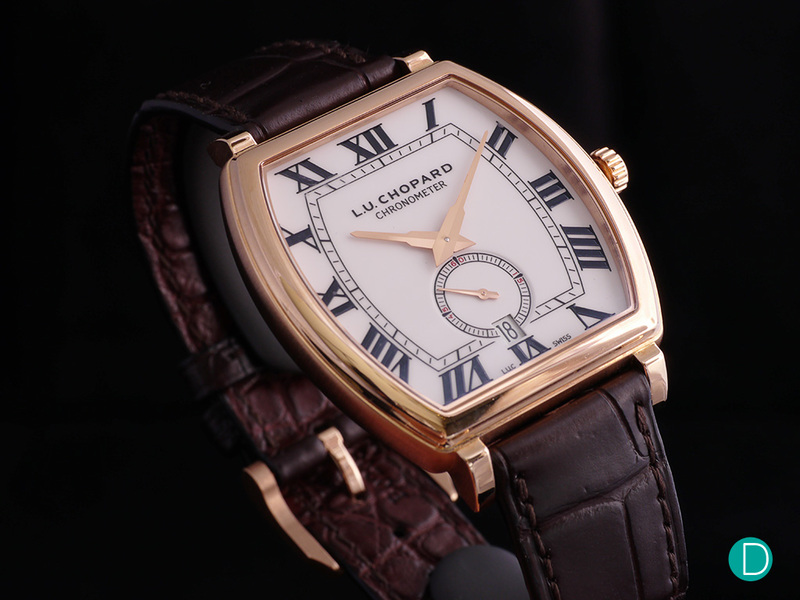 Just recently, the Chopard L.U.C Full Strike had won the most prestigious prize at the 2017 Grand Prix d’Horlogerie de Genève, the Aiguille d’Or. If that isn’t impressive enough, let all be reminded that they have also won the Aiguille d’Or at 2016’s GPHG with the Chronomètre FB 1 by Ferdinand Berthoud, a brand under the Chopard group. The L.U.C Heritage Grand Cru overflows with the values of the L.U.C line that has been so highly acclaimed and thus one can expect the usual haute de gamme finishing, fine craftsmanship and importantly, sensible pricing. In our minds, it is a timepiece that shouldn’t be overlooked by anyone in the market looking for a dressy tonneau-shaped watch. It is quite frankly as good as it gets. 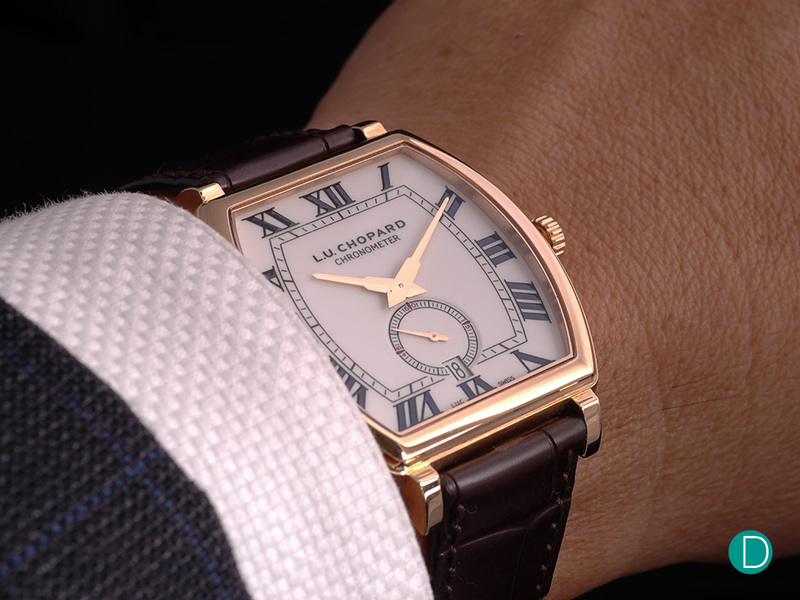 On the wrist, the L.U.C Heritage Grand Cru cuts an elegant figure.